What do you think about Savage Gear Cannibal Shad? There are a lot of anglers around Europe trying almost every possible way to catch a big zander. In recent years soft plastic lures and hundreds varieties of shads have been so popular to hook up such big zanders. 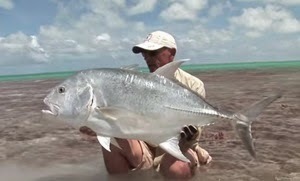 But not all of them are so effective although they looks so attractive to our eyes (but they look different to fishes). There are some lures which always give more satisfaction. "Savage Gear Cannibal Shad" is one of them. A truly killer shad for big zanders. I have got some different sizes and colours, too. It never fails me. This guy, I think he is from Netherlands, shows us how to do it perfectly. Look at him! What an exciting zander action! Canals in England are absolutely amazing for fishing pike and perch on ultra light lures. Here a good sample of it. Simple soft light lure, right spot, passion for fishing. And the results is always satisfying. Shropshire Union Canal in Cheshire is on of the most productive canals for this type of fishing. If you are looking for a good place for winter pike and perch in Northern England , here you go. Here you can see the movements and actions of a Megabass cattle tongue lure under the water. It is a plastic soft worm for both freshwater and saltwater fishing. It is a sinking soft plastic with a flat tail for extra movement. "Megabass cattle tongue plastic worm" is ideal to catch bass, perch, zander, seabass, snapper, bream, pike and all kind of species that live in sandy bottoms, rocks, weedy lakes and rivers. With the combined effect of the thin and fat ribs on its body, the CATTLE TONGUE displays an alluring wiggling motion like that of live bait during straight retrieves. The uniquely shaped tail, which gets thinner at one point, then fatter again, sends shivers through the body with a slight delay, creating that moment of buildup that lures in bites from fish determined to keep their prey from escaping. During falls, the water resistance interacts with the unique body shape to create an undulating motion, hooking even the most particular of fish.